Located in Addison County, Vergennes is a city of just under 3,000 residents. The community was established in 1788 and was named after Charles Gravier, Comte de Vergennes, a French statesman and Foreign Minister during the American War of Independence. Four schools are located in town; Vergennes Union Elementary School, Vergennes Union High School, Champlain Valley Christian School, and the Northlands Job Corps Center. Settler's Park and Falls Park provide walking paths, picnic areas, campsites, fishing, and boating. Residents also enjoy many annual events including a Memorial Day Parade, Otter Creek Basin Bash, Junior Fishing Derby, and Pumpkins In The Park. 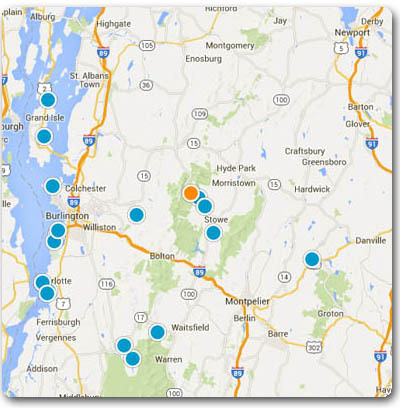 Find your Vergennes Vt homes for sale by map or price below.